Soon summer will be gone. Make sure to get some use out of your patio on a cool summer night. 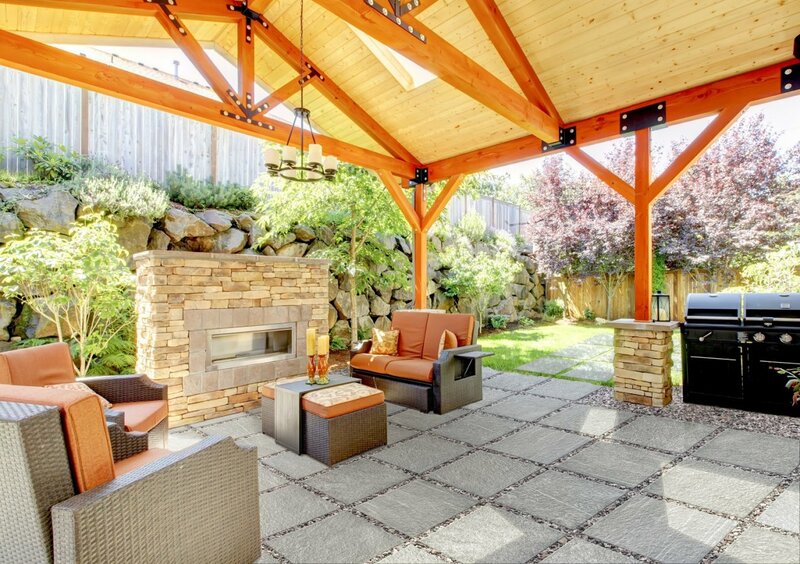 Outdoor patios are great for entertaining. This location provides a natural and romantic atmosphere. Find out how to decorate your patio for an evening of fun. This idea can also be done in late summer to early fall. The cooler the nights are, the nicer it is outside, with less bugs. First make sure rain is not in the forecast, unless your patio is covered. If there is no chance of rain, you can really take advantage of interior accessories in this area. Bring out a rug to define an inviting seating area. Grab a surge protector and plug in some lamps. Combine a table lamp or two with a floor lamp, for an intimate feel. If need be use an extension cord to run the power from the interior to the exterior. Simply hide the cord under the rug and seating. Bring out framed photos and place them around the seating area. Feel free to lay out a throw or two. The blankets help by adding comfort when the temperature drops at night. Having interior luxuries at your outdoor gathering will make guest want to stay and chat all night. Add a vase with fresh cut flowers. You may even want to add smaller votives with a single flower spread around the entire area. Don’t forget the accent pillows. If you do not have indoor/outdoor pillows, bring some from the inside to use outside, just for the night. Accent pillows are required for comfort in any seating arrangement. Set up an outdoor tent, draped with a mosquito net, as a designated area to serve food and drinks. This will create a separate area that will keep bugs out of the food and beverages. A mosquito net adds a romantic flair to any setting. Use citronella candles paired with tiki torches. This will add warm accent light that will make the environment feel inviting. All the while keeping bugs and mosquitos away. The citronella tiki torches are especially good for this, because they add much more citronella to the air than a candle can. Having more than one will really help keep the bugs out as well as light up the night in a beautiful fashion! Even if you do not currently have an outdoor patio, or if you need to expand your current outdoor space, we highly recommend Florim USA’s new outdoor pavers. These pavers come in many styles and are very easy to install anywhere. If you have any questions about how they can add more fun to your outdoor activities, feel free to ask us or visit one of our showrooms. We are always happy to help!